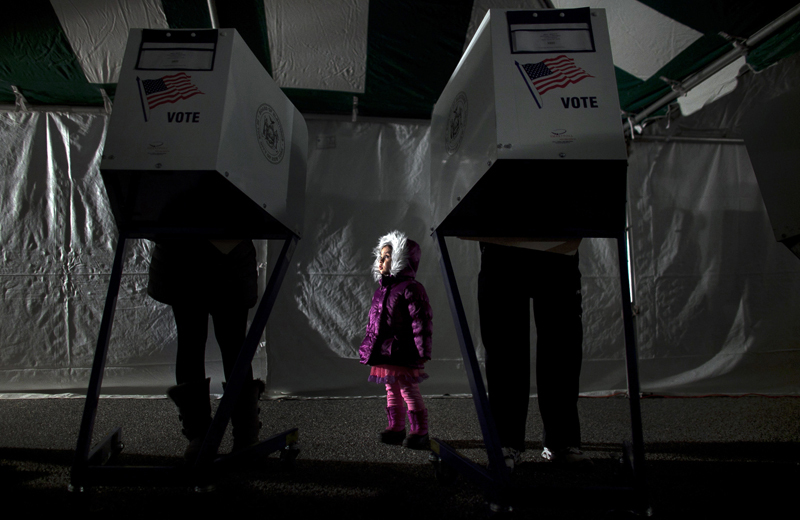 3 year old Fiana waits for her parents to vote in the presidential elections in a makeshift tent without electricity or heat in Midland Beach November 6, 2012 in the Staten Island borough of New York City. Hurricane Sandy touched down in New York City October 29, 2012. The storm shut down the city's subway system, cut off power to hundreds of thousands of people, caused severe fuel shortages, destroyed hundreds of homes and businesses, caused billions of dollars in damages and killed 53 people in New York.